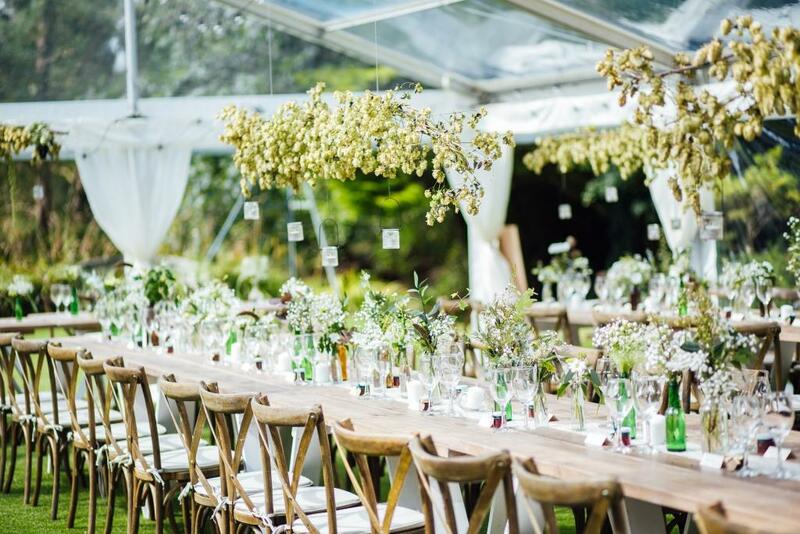 Current trends for 2019 look set to be about ‘keeping it green’ and we love it too! Think back to Prince Harry and Meghan’s wedding and it was a feast of greenery outside St. George’s Chapel at Windsor Castle. 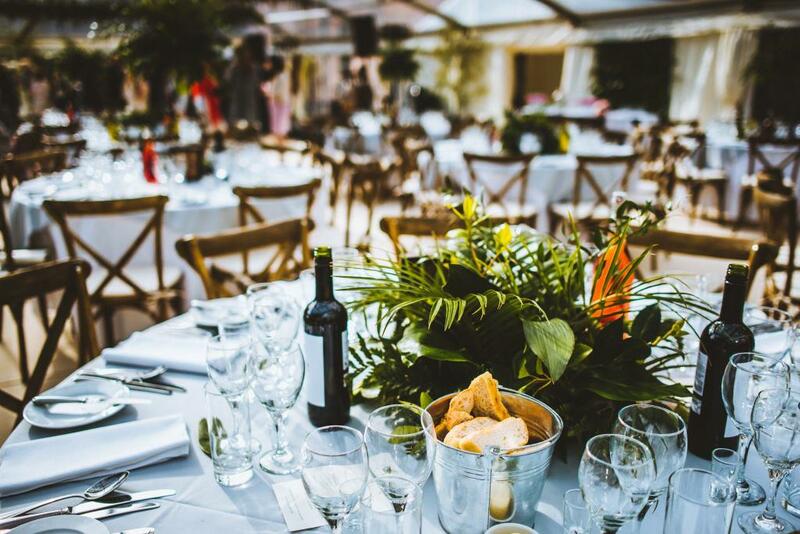 Lots of foliage works particularly well in a marquee. It can mirror your location by emphasising your outdoor location by bringing some of the outside, inside. 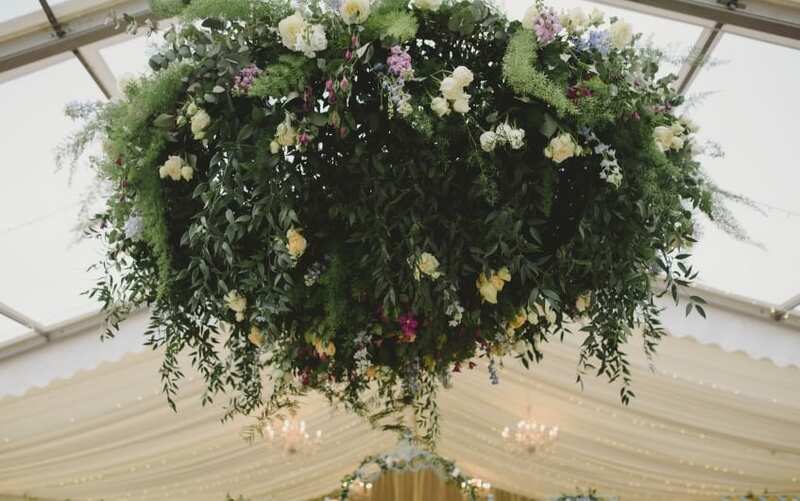 Hanging greenery in the lofty roof space of a marquee looks dramatic and creates atmosphere too, so if you are pondering on how to dress a marquee read on..
Foliage comes in all different colours and textures which enables you to create many different looks. Another advantage is that it is quite bulky too, so you can use it to create a large feature displays. 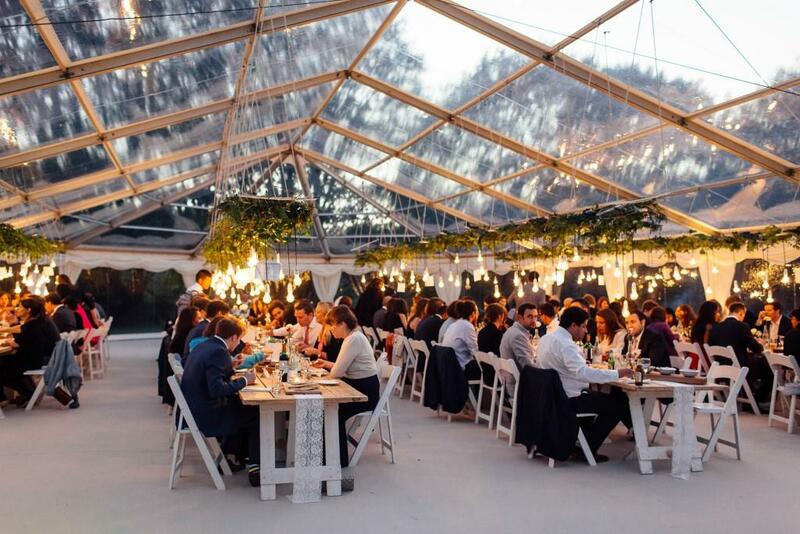 For the complete wow factor this amazing display in one of our clear roof marquees incorporated lots of pendant lighting and looked just awesome day and night. 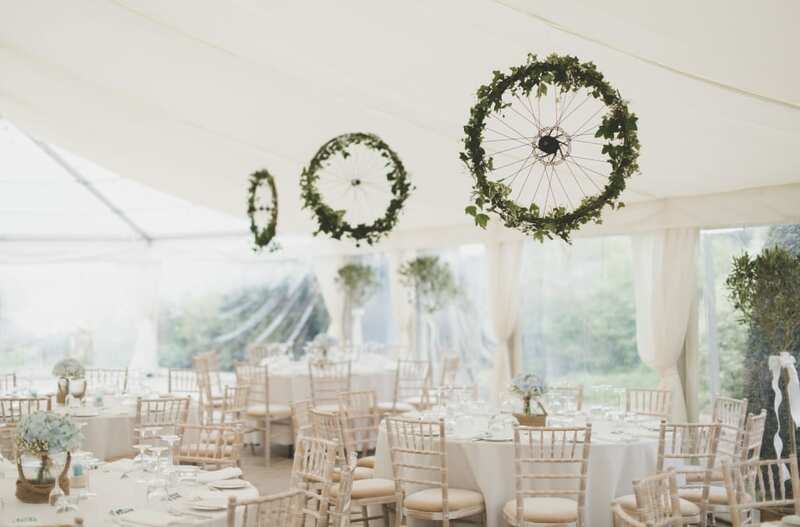 Wrapping foliage around ladders, poles, planks of even bicycle wheels is a great way of giving a hanging decoration structure. 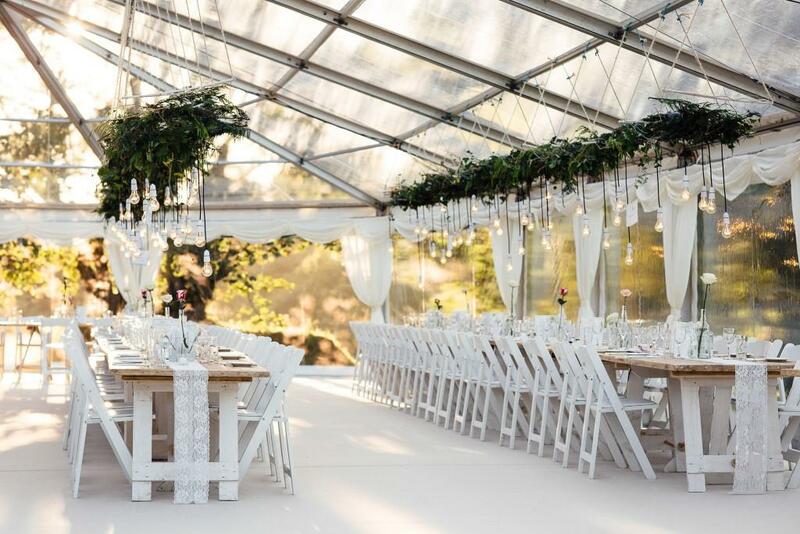 By incorporating fairy lights or little tea lights in jam jar in your structure you get to add another dimension to your display for the evening and who doesn’t want a bit of twinkle! 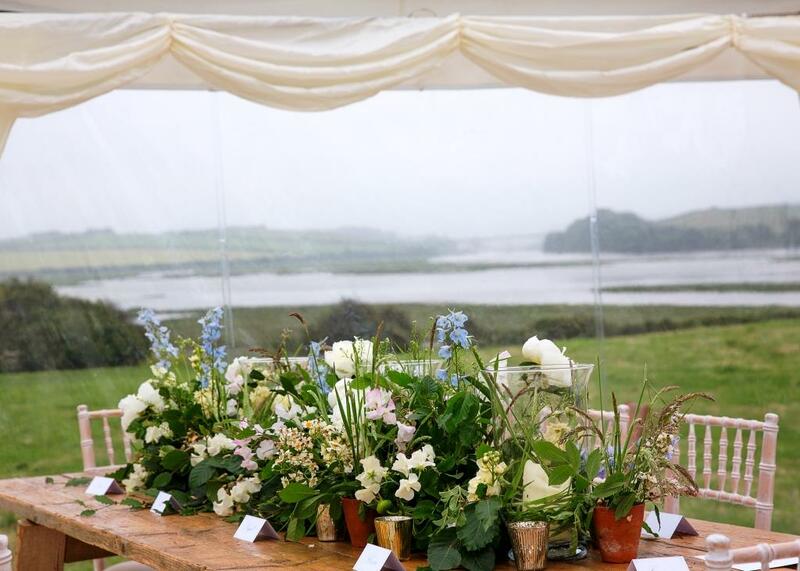 How about using lots of little pots of foliage, grasses, herbs and flowers to create a lovely green table display. Add a few tea lights and candles as well for lighting in the evening for a bit of additional atmosphere. 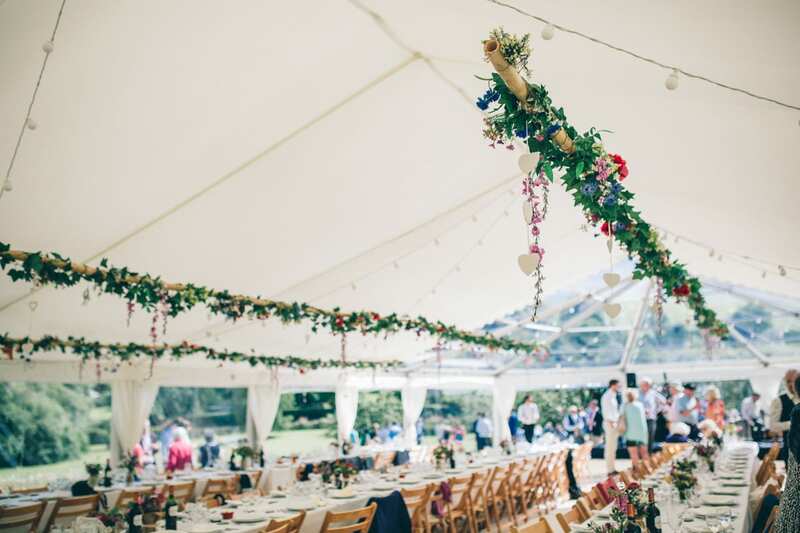 So get thinking about how you might decorated that amazing marquee roof space and your wedding tables and be bang on trend with an abundance of natural greenery! 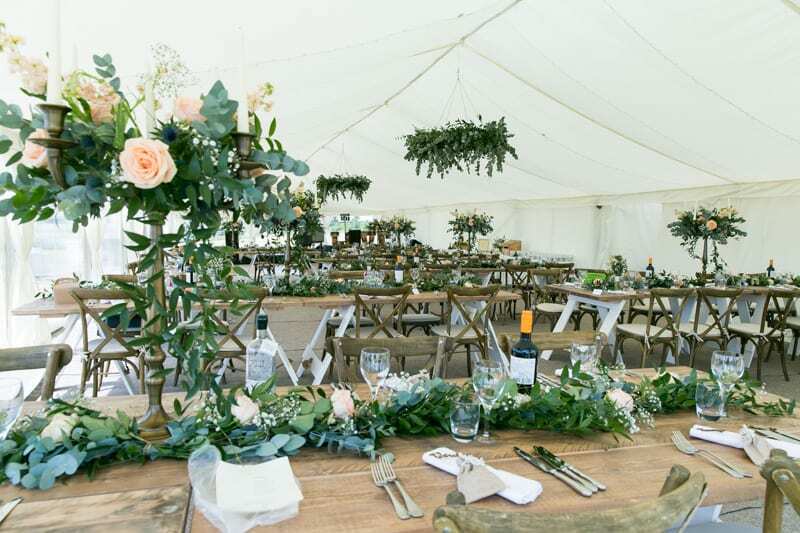 For more inspiration as to how to decorate your wedding marquee take a look at our pinterest page which has lots of images to give you plenty of ideas! 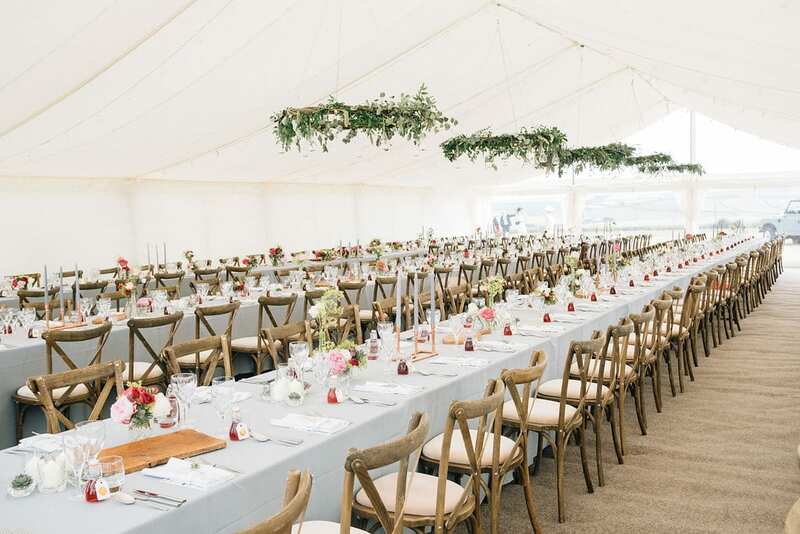 Or for more information on marquee hire in Devon, Cornwall, Dorset and Somerset contact us, Hatch Marquee Hire, specialists in wedding marquees.